Gaaahhh!! Two different Sheridans from two different manufacturers in just a week!! I'm not sure my heart can take it!!! And this is the post 'Nam version too! What are the chances, two manufacturers for three versions... who saw that coming? Not My wallet that's for sure. Ryes A1 with the old bustle rack would build my Sheridan A10 1/11th ACR. Excuse my ignorance. Can any of these be built into the 1st Gulf War version? 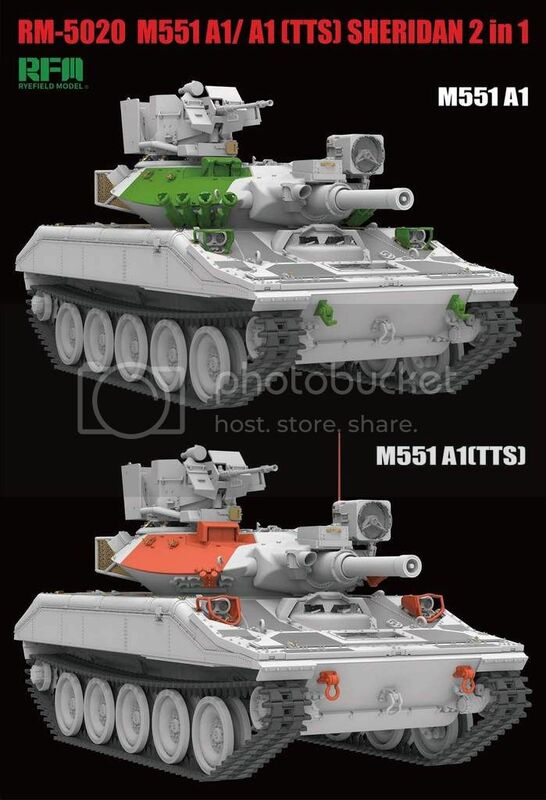 Yes, the M551A1 TTS (bottom one w/red parts) is the version used during ODS, '90-'91. Yep, and my Fox 36 from 2/11, but with the earlier cargo rack-- hope that's included. Boy, this should make a ton of people happy, including me! looking forward to the reviews when they are released. Yep. These and a Nike Herc; really good year for modelers. Well I am halfway thru the academy ODS sheridan with full PE from eduard. So your all welcome. Removed by original poster on 10/08/18 - 23:59:49 (GMT). And as if by magic another one appears. Let's face it though we all suspected another company would do one as well. Great news! Maybe we should have a campaign for those kits you'd swear they will never make (or update) in plastic. I'm good for two of the RFM kits, and maybe one Tamiya kit. I see things about both kits I like. Now if somebody will do a nice new tool M48a2! OK, so which manufacturer is going to be next, or will the Sheridan just be a two company kit? I'll be buying at least one of these, probably RFM. Any word on an interior kit? Now if somebody will do a nice new tool M48a2! 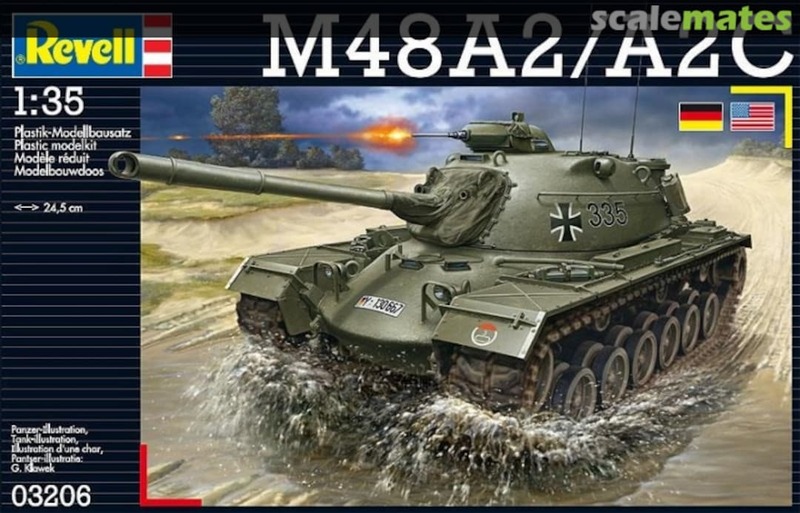 Revell of Germany's newer M48A2/A2C is all-new and very nice. It is not related to the old Monogram kit in any way. Here is a good review. I always wondered about it. Know where one is too! Thanks for sharing, Russ. I like the link and connect tracks, instead of indi ones. Anyone has info on the release date?